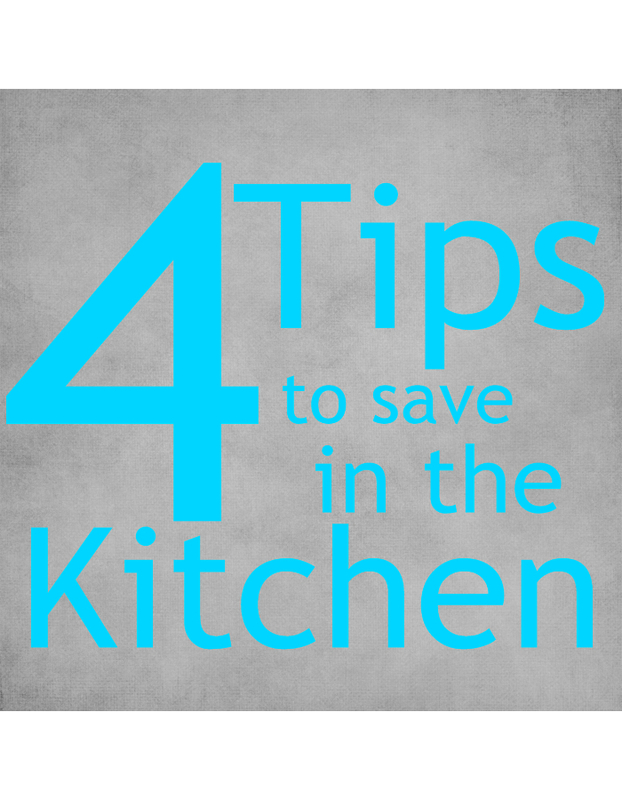 I'm going to be talking about 4 tips to save some money in the kitchen. These are just a modge podge of ideas that I've found help me save a little money, making that grocery budget go a little farther. 1. Spaghetti sauce mix in or no? So I've grown up with having spaghetti and the sauce mixed together, it was just what we did. I honestly never thought about not mixing it together until one night my husband asked to have it separate. It really wasn't anything to me, no more extra work really to not, so we had it separate. Now, first of all, I don't use a whole jar of sauce each time I make spaghetti, with just the husband, me and two girls under 3, we don't really need a lot of spaghetti. So I use 1/2 a jar each time. However, the night we didn't mix the spaghetti and the sauce, I felt like I needed to go and heat up more from the jar. Which the next day for the leftover spaghetti I did, because the sauce was lacking that day. So needless to say we went back to mixing the sauce in with the spaghetti, because you know what, that sauce is still good in the fridge for another 2 weeks. So we just plan spaghetti again about a week later and use the remaining sauce. So there you go, mixing the sauce in makes it go farther, at least in my experience. I am not a fan of dry milk, even though I know the powder dissolves well, I just can't mentally drink it; however, I can cook with it. Dry milk is significantly cheaper than liquid milk and I don't know about you, but I feel like I'm always adding milk to some recipe of some sort. Dry milk can also be stored in the freezer, which then makes it last longer, and so makes it easier to use for cooking. As someone who, honestly, said she'd never buy dry milk for anything, it really is my choice over liquid milk to cook with, saving me money and my liquid milk for drinking. Shredded cheese, have you noticed you pay more for it when it's in smaller bags. I mean sometimes when it's on sale it's cheaper, but for the most part it's better to buy it in 8 cup bags. Now we like chesse and we eat it a lot, but an 8 cup bag is a lot for even us. However, I buy it in the 8 cup bags and then spilt the bags into 2 smaller bags and freeze them. That way I can stock up when they're on sale (or when Hy-vee has a fuel saver reward on theirs, stay tuned for a post about how I save on groceries), and save some money. 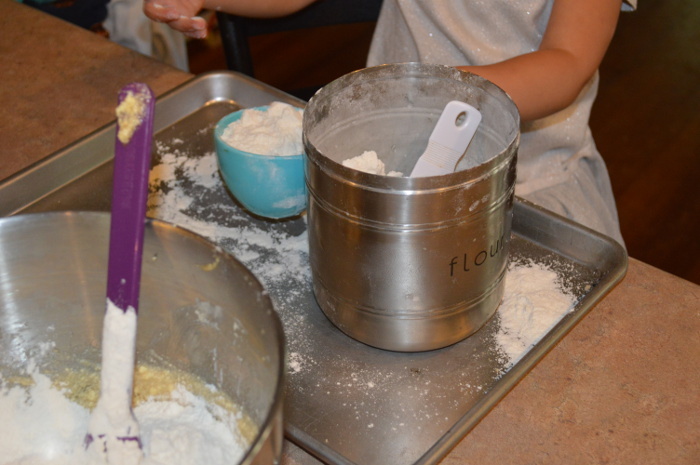 Now this one is how to save on flour with those little helpers. A while back I posted about little helpers in the kitchen, you can check it out here, I mentioned in that post about trying to find a better way to save the flour my little one plays with. Well one day when I was having her help me do some baking, I put a baking tray under her bowls so that whatever spilled we could put it back in the flour container. Then, I had a duh moment, why haven't I been doing this when she just plays with flour, the pan is large enough for her to play on with the roller, and cookie cutters and whatever else she wants to use. So if you are wanting to find a way to save on some of those kitchen supplies you let your little play with, grab a large cooking sheet and let them go. Just make sure the cookie sheet is clean first and you can easily save whatever spills on the tray. This also works great for when they want to help you refill something in the kitchen. A loves to refill my coffee canister, but would get upset when she spilled. Now we just dump what spilled on the cookie sheet and it works great! So there you have it, my 4 ways to save some money in the kitchen. Hope 1 or all were helpful! How are ways you save some money in the kitchen?